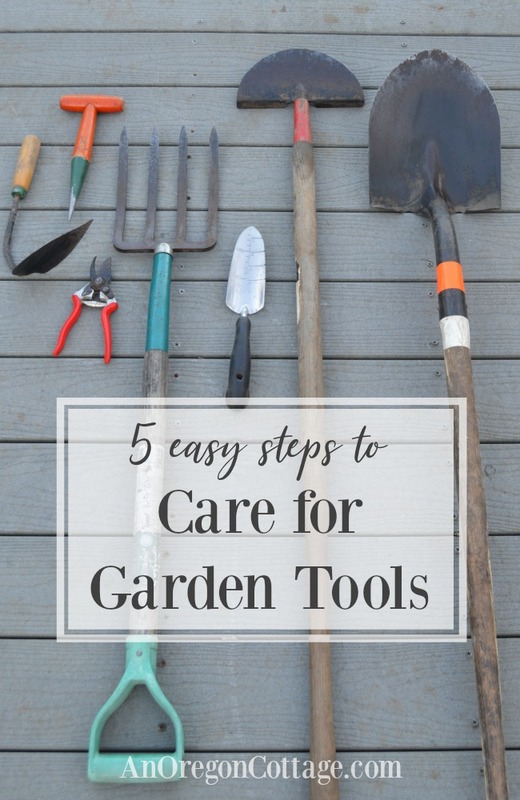 Let’s take the time to care for garden tools the same way we care for our plants, getting them prepped for the coming season with 5 simple steps and maintaining them throughout the growing months. 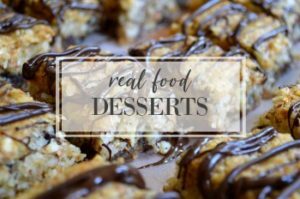 I’ve gardened for years growing both food and flowers, but I have a dirty little secret – literally. It’s my tools and how I’ve treated them – they’ve been left out in the rain, dumped in a burn pile (and then burned! ), and stored caked with dirt. It’s not like I was trying to be stupid with my tools – we do pay good money for them after all. 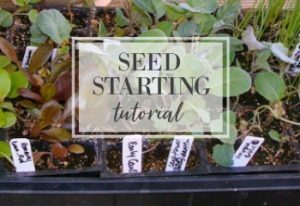 There’s just always so many other things to get done in the garden between the planting, watering, mulching, harvesting, and pruning. I thought I was good getting the tools at least back into the shed – sometimes. And I don’t think I’m alone in this, right? I’ve seen some of my gardening friends deal with the same issues (“Now where did I leave my pruners?”) and have commiserated with some of you who’ve told me that you’ve left expensive tools outside, too. This year, though, I’m determined to turn over a new leaf on caring for my garden tools (maybe because they will be getting an even harder workout creating a garden from scratch at our farmhouse fixer!). I think part of the problem is that I never really knew what to do to take care of them and it just seemed like it would be time consuming. 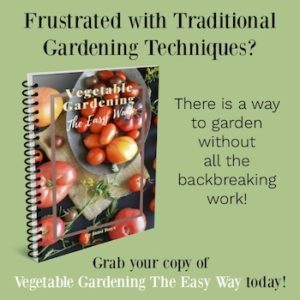 But after a bit of research about the best ways to get garden tools ready for the season – and keep them that way throughout the summer – I found that there are just five simple things to do to care for garden tools with basic supplies. That’s totally doable and can actually fit into my garden routine easily. Are you with me? Let’s determine this is the year to care for our tools like we do our plants! I’ve created both a video and photo tutorial for you so you can see just how easy it is to keep your garden tools looking great for years. Metal file. A basic single cut file is sufficient. Wire brush. Choose one with a handle and small to medium head that will be able to get in crevices. 3-IN-ONE® Multi-Purpose Oil. Around since 1894, you may have a bottle of this in your stash already and it is fantastic for getting anything metal to look great and work great again. The easy-to-use drip spout enables precise application, with no overspray or splatter and makes tools shine – just check out the before and after pictures below! Rags. Cotton or terry will absorb best. Soapy water. For caked-on dirt. If your tools aren’t too dirty, this is optional. Optional nail brush. A brush this size is good for cleaning small tools like pruners – you’ll want to use one to keep them clean throughout the season. Of course, this should be done in the fall, but if you’re like me, a-hem, your tools will need a good cleaning. 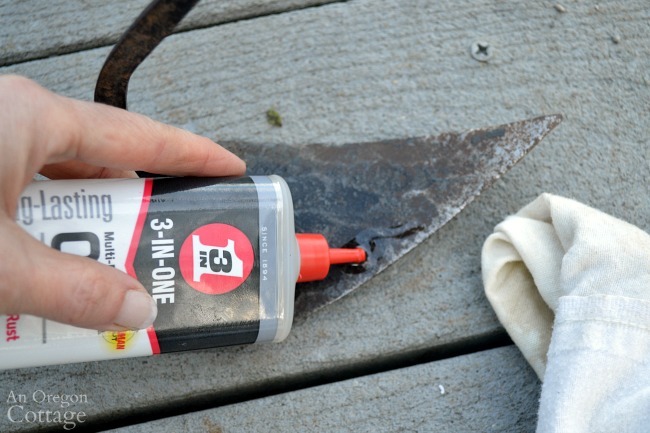 Use soapy water and the wire brush to clean off smaller hand tools. 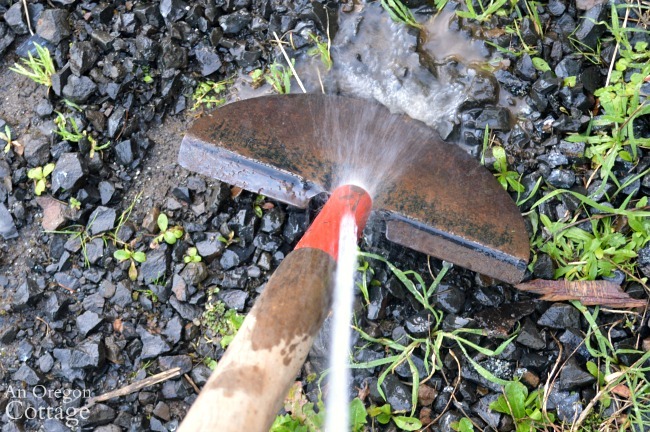 For larger digging tools, use a strong spray of water from a hose, scraping off excess with the wire brush as needed. Use the rags to thoroughly dry the tools. TIP: it’s moisture that causes rust, so drying them well after every cleaning is key even throughout the season. Sharpen your garden tools with a metal file on just the edges, filing the blade at a 20-degree angle. You can also use a whet stone or a motorized sharpener depending on the tool needing sharpening and the equipment that you have – I’m just keeping it simple with a small single-cut file. With a clean cloth rub in a small amount of 3-IN-ONE Multi-Purpose Oil along the edges to seal and protect the tool from moisture and rust. For digging tools use a rag and 3-IN-ONE Multi-Purpose Oil to coat the entire metal working surface, like all the tines of a digging fork and the front and back of the scooping part of a shovel. This will keep dirt and roots from sticking to your shovel as you work, actually making your job easier in the months ahead. That’s a win-win, right? Keep tools indoors, preferably hanging up when possible. For small hand-held tools, you can keep them in pot filled with sand mixed with an oil like 3-IN-ONE Multi-Purpose Oil. This helps clean and condition the metal between uses. Between winter clean up and harvesting, our pruners probably get the most work of any garden tools during the entire gardening season. For that reason, we often spend more money on quality pruners. 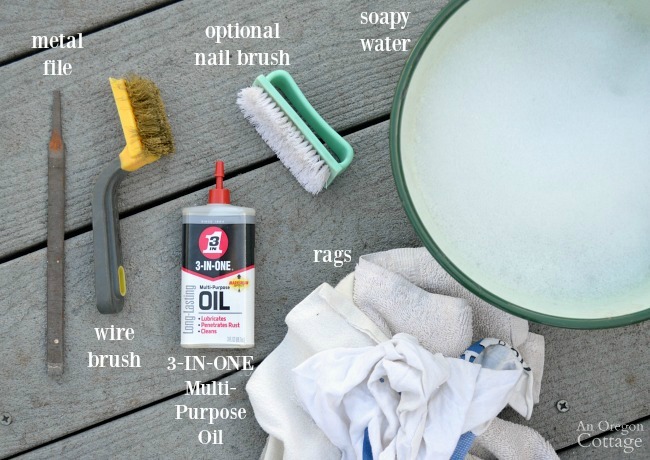 Keep a nail brush or scrubby near an outdoor hose to wash them well after each use, drying well. I have seen mail-boxes used in gardens for storing tools and things like this, which I think is brilliant! Replenish the lubrication on the pivot point a few times a year – at the beginning of the season, once or twice in the middle and then at the end before storing for winter. This is a case where 1-2 drops of a penetrating oil like 3-IN-ONE Multi-Purpose Oil applied with the narrow spout right where you want is better than a lightweight spray that will evaporate quickly. 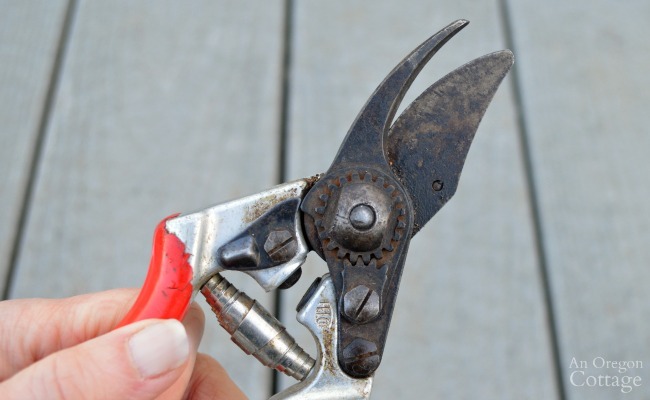 My Biggest Tip: Don’t give up on old pruners! The pair pictured above had been left out in the rain and rusted to the point where they didn’t open and close anymore. I honestly thought they were dead! After a good washing, sharpening, and coating the pivot with 3-IN-ONE Multi-Purpose Oil I was shocked that they were working again almost as good as new. Yay! How about some before and after photos? There really is a difference and it’s making me realized that I can’t ignore my tools if I want them to work for me and not against me. Taking the time to care for garden tools not only helps our tools last, they can also make gardening easier as we’re using them. Sharper tools protected with oil work better, slicing through dirt without gumming up and cutting branches cleanly. And that’s a good thing, right? We gardeners need all the extra help we can get! 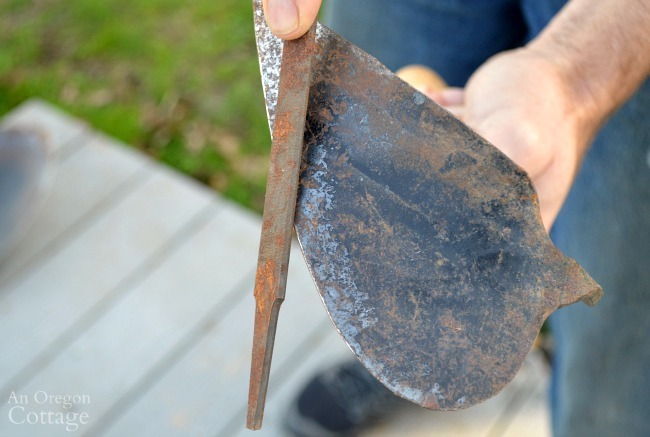 Thanks for these tips for taking care of garden tools. I actually didn’t know that a cotton rag could be good because it can absorb the best. I’m interested to learn if the rags should also be cleaned every time after it’s used or only if a lot of cleaning was done on the equipment. If they’re heavily soiled, I toss them, otherwise I wash and reuse. You know me so well, i do get most the dirt off and hang them up in my garage. Oil and sharpen,well, that’s probably a good idea, i am going to try this and they will probably last longer than 3-4 yrs. at least my clippers and pruners. You’re half way there, Marlene – I bet the clippers would definitely last longer. There IS hope — YAY! Especially since I have my own stellar collection of “a-hems” around here. If I can round them all up, that is. And I love the idea of using a using a mailbox for storage. That’s sure to be helpful. 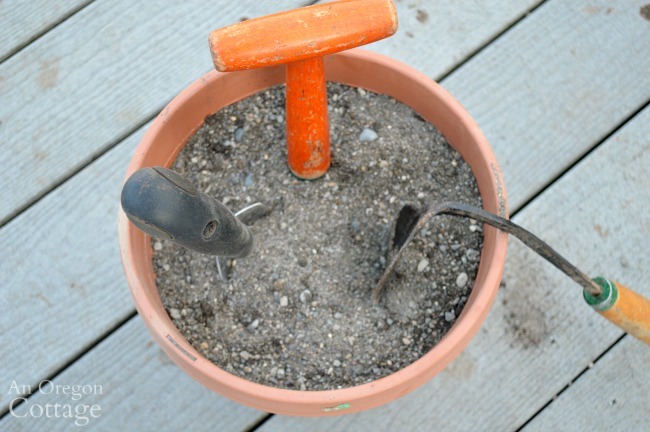 Oh, and BTW, what’s the ratio of 3-in-1 to sand in the bucket for smaller gardening tools? I’ve seen this used and I’m looking forward to trying it. Thanks!